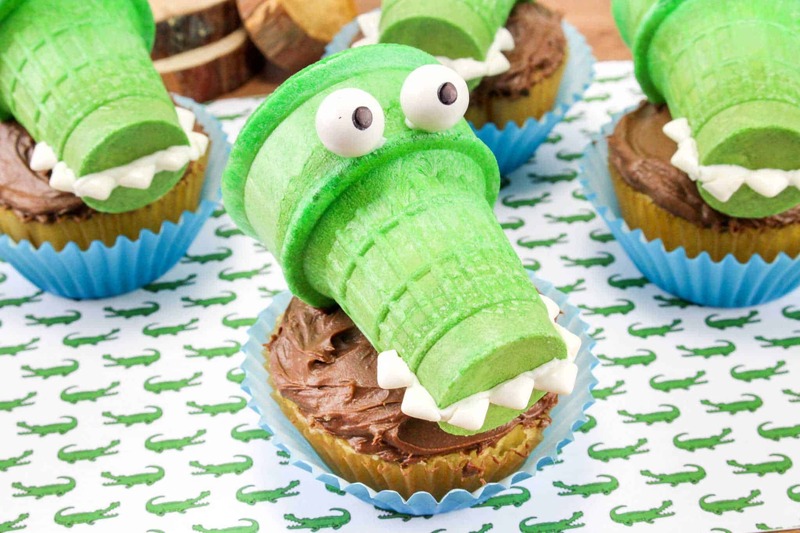 Today we have some Alligator Cupcakes to share with you. 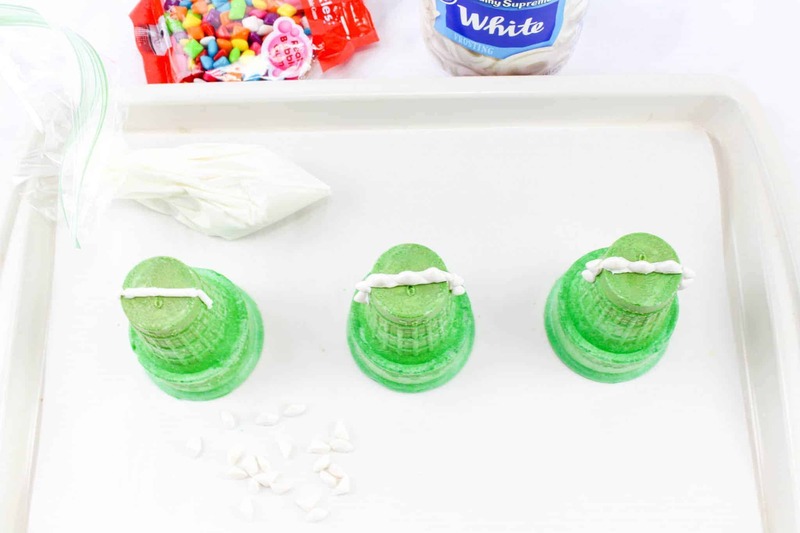 This is one of our super fun cupcake ideas that we have on the blog and they are a brilliant party food idea that kids will love. 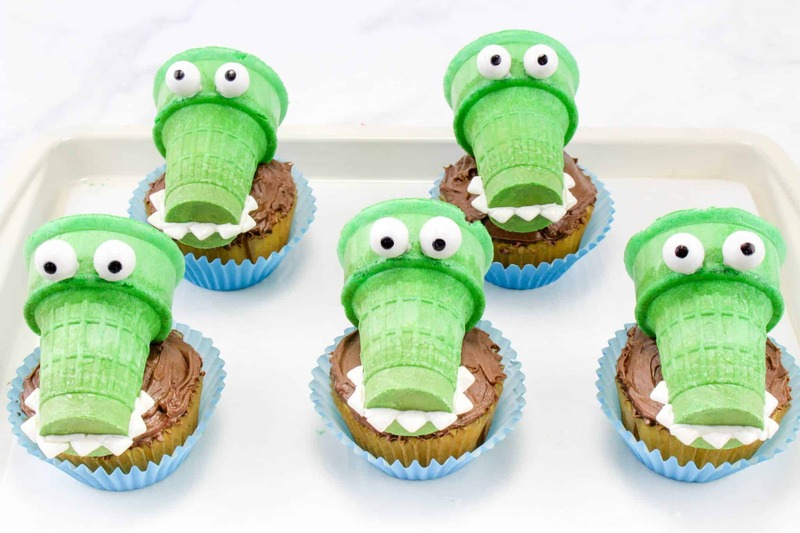 Whilst I don’t exactly love real alligators these alligator cupcakes are super cute and sure to be a winner for the little ones. When making fun cupcakes, especially animal themed ones you will need to use googly eyes. 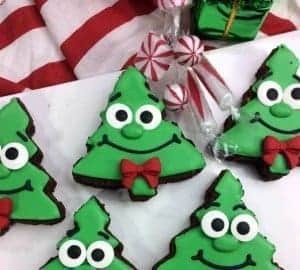 You can purchase these from a baking store or on Amazon, or you may want to make your own googly eyes. 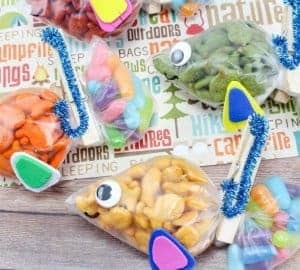 In fact there is a brilliant Easy Edible DIY Eyes tutorial by Eats Amazing which shows just how easy it can be to make eyes. I found edible eyes at both Tesco and Asda here in the UK and they are available over in the US in lots of supermarkets. 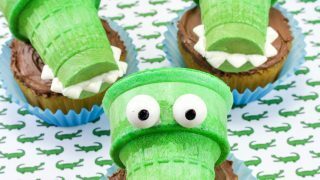 How To Make The Alligator Cupcakes? 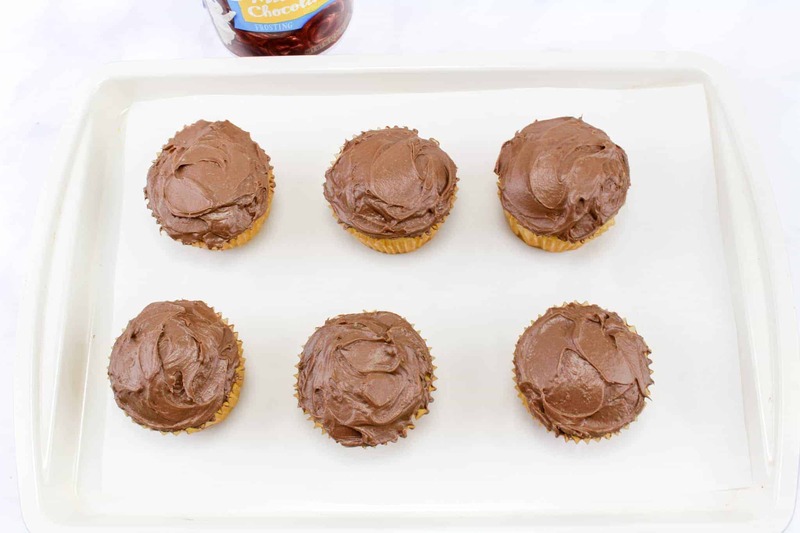 Frost the cupcakes with layer chocolate frosting. Turn the cones upside down and put a thin line of white frosting across the middle of the bottom of the cone. Extend the line of frosting over each side of the cone about an inch. Stick 7-8 teeth in a line onto the frosting line making sure the points of the gum are facing out to look like sharp teeth. Repeat this with all the cones. Fun cupcakes for a zoo or animal themed party! 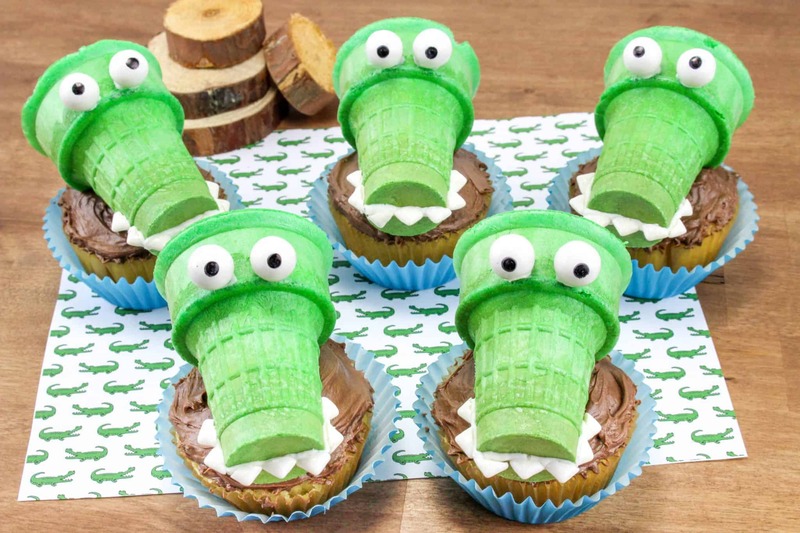 and easy to make Alligator cupcakes. 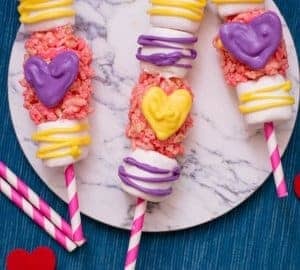 This is a tasty and easy part idea for kids. 1. Frost the cupcakes with layer chocolate frosting. 2. From the bubble gum sprinkles, pick out about 24 white pieces and cut them in half diagonally so you have about 48 little triangle teeth. 3. Turn the cones upside down and put a thin line of white frosting across the middle of the bottom of the cone. Extend the line of frosting over each side of the cone about an inch. Stick 7-8 teeth in a line onto the frosting line making sure the points of the gum are facing out to look like sharp teeth. Repeat this with all the cones. 4. 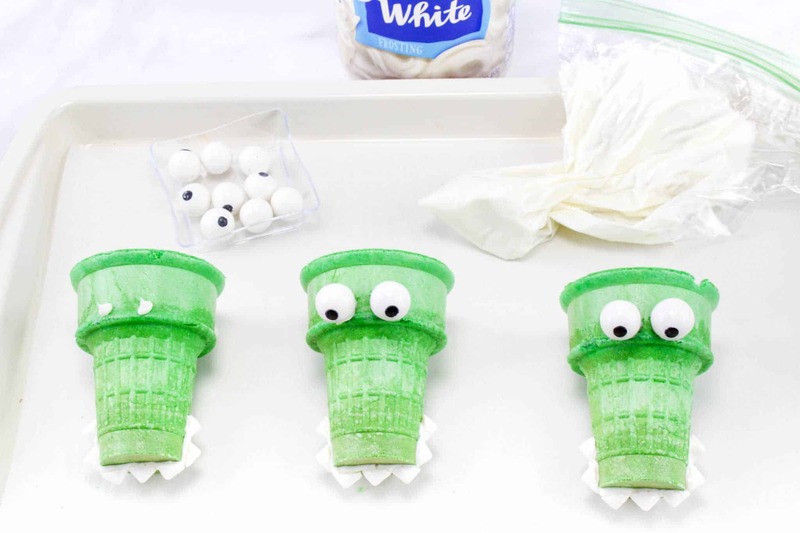 Now lay the cones down on their side and use frosting to stick 2 round eyeballs on the top rim of each cone. 5. 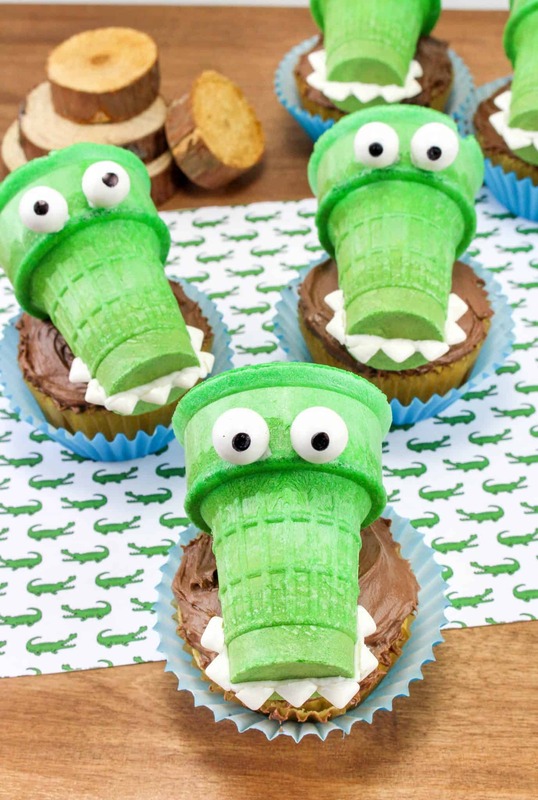 Place an alligator cone on top of each cupcake so it looks like the alligator head is coming up out of the muddy water. 6. Fun cupcakes for a zoo or animal themed party! I’m please you love it! or you could use another thing like a ball of cake or a oreo cookie! Put the comment under the wrong edible 🤣. Goodness. But you figured that out I’m sure. The Pooh’s are worth my attempt at making them.